Offers: Fireplace (FREE FIREWOOD), barbecue, pool, TENNIS COURT-FOOTBALL ROOM- BASKETBALL. 3 Bedrooms, 2 bathrooms . 80m lounge with fireplace cassette, led TV 42 "has two rooms one around the fireplace with some great sofas and another with two tables of 2 m each and 14 chairs between 2. Kitchen equipped with appliances and kitchenware, oven, hob, microwave, coffee maker, juicer, toaster, dishwasher. Terrace that surrounds the entire house, with outdoor furniture to enjoy at any time, day or night. With a fireplace, and the firewood is free. BEER GRIFF IN THE CHILAUTT AREA. 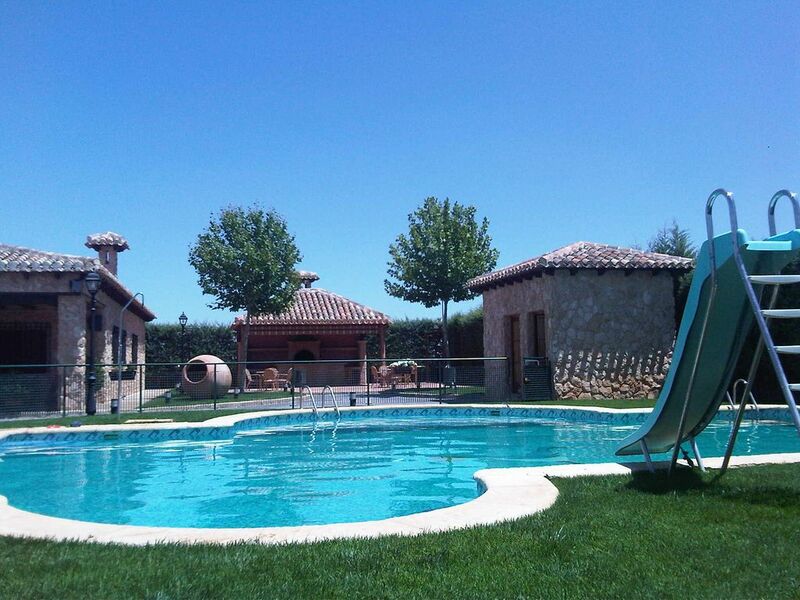 Barbecue, oven for roasting, fireplace, mini bar, free cot, wood for the fireplace without cost, playground, bicycles, Diana, swings, valancin, farm with animals in the area, rabbits, partridges, pigeons, goldfinches, greenfinches etc . We also have board games, darts, swings, valancin, bicycles. We have churreria pizzeria in the village with breakfast service, rations menu, sandwiches, pizzas, hamburgers, etc. to take in the bar or take home, very good price, prices available in the house.